Seabuckthorn oil: We know this ingredient isn’t necessarily in the forefront of mainstream skincare, but that doesn’t mean it isn’t chock full of incredibly youthening and regenerative antioxidants and other bioactive compounds. This brightly colored plant oil is potent and precious stuff, folks. Use it. Seaweed: Green, brown, red- seaweeds come in all sorts of rich and earthy colors, and those colors go to work on your skin to keep it healthy and strong no matter your age. Whether it’s in the form of an extract or ground up as an exfoliant, seaweed is a powerful ally in the antioxidant realm. Sea Fennel: Sea Fennel is a hardy little ocean plant that produces a botanical form of vitamin A (an antioxidant). The wonderful thing about this is that by using Sea Fennel instead of retinol, you get all the benefits of this powerful antioxidant without any of the sensitizing issues that many people experience. It’s an anti aging must. Berries: Blueberries, blackberries, Goji berries- the list goes on. With their deep and intense color pigments, berries offer us an easy to access source of antioxidants that look as beautiful as they make you. 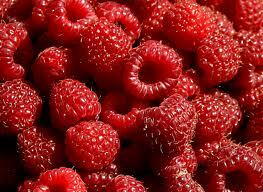 Put them in all your masks, scrubs, serums and lotions for constant antioxidant berry beauty.